U.S. companies lose $62 billion a year due to poor customer service. That alone should be enough to encourage you to improve your customer experience. Luckily, many important customer service skills can be learned and refined with practice. Below are nine tips to provide top customer support and gain loyal customers. Behind every customer service call is a real human who has a question or concern that needs to be answered. The person needs to feel understood, heard, and served. Active listening is a key skill set you can develop by practicing daily on your co-workers and family. First, you should approach each conversation with the goal to learn something and focus on the speaker. After the customer is finished speaking, ask clarifying questions to make sure you understand what they’re actually saying. Finally, finish the conversation with a quick summary to ensure everyone is on the same page. By practicing active listening, you’re not only going to possess the ability to become a truly exceptional customer service agent, but you’ll also improve your relationships outside of the office. Empathy is the ability to understand how the customer is feeling and where they’re coming from. While some people seem like they’re born with this trait, it’s a skill that can be acquired. When listening to the customer, try to see the problem through his eyes and imagine how it makes him feel. This is important in customer service because the customer will be more receptive if they feel understood by you. It can also de-escalate a conflict and create a more enjoyable interaction with your company. When attending to customers’ problems, using positive language takes the stress away from the situation. Words are powerful and they can create trusting relationships with your customers. Verbs should be used positively. For example, instead of saying “don’t hit the red button” say “the green button is the best option.” Future tense is also positive as it doesn’t dwell on the customer’s past issues. Phrases like “Great question, I’ll find that out for you!” and “I’d love to understand more about …” can keep the customer in the present moment. Also, remember when speaking to customers to make sure you’re authentic, positive, memorable, and to stay calm and positive, even if the customer is angry. Customers may come to you with all types of problems and they want their questions answers fast. If you don’t know how to properly implement a service ticket, you’ll be wasting their valuable time. Before interacting with customers, you should fully understand how to use your live chat and ticketing system and learn to type fast. In order to help the customer, you must have a deep knowledge of your products and the way they work. It’s recommended that each customer service agent spends onboarding time with a seasoned product specialist so he can ask questions and fully understand the ins and out of the product. 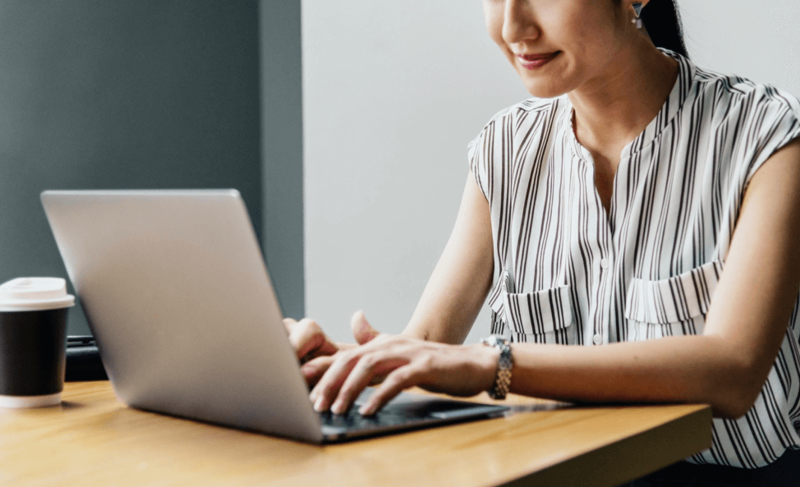 This way, you’ll be able to help customers when they’re troubleshooting issues, and you’ll know product tips and tricks you can share to make the product easier to use. Live chat, email or even telephone communication can seem impersonal because you can’t read the other person’s facial expressions and body language. Consumers want to feel connected so look for common ground to make a quick connection. The ability to clearly communicate, both verbally and in writing, is essential in customer service, especially if you are speaking to someone who has a different native language. Answers to your questions should be clear, concise and in your natural tone of voice. Customers want an explanation, but they don’t need to know all the details. If they ask for more details, you can share, but most people want their issue resolved quickly. Always end each conversation with the question, “is there anything else I can do for you today?” so they have one more opportunity to ask another question and you know you’ve done everything you can to resolve the issue. Also, be sure to communicate hold times if you put them on hold while you pull up their account or talk to your manager. On live chat especially, it’s important that you don’t idle too long. The best way to understand if your customer service is top notch is to ask your customers. 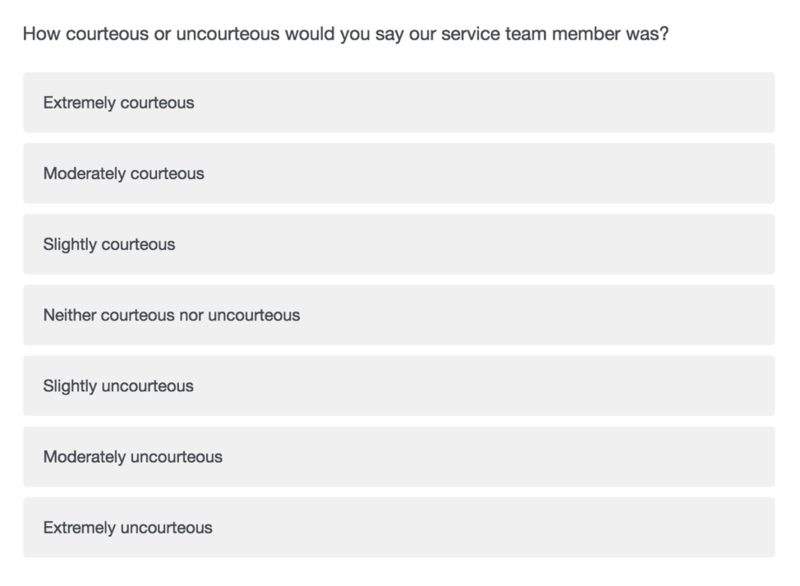 Use surveys to track top customer service metrics individual performance and ask service agent-specific survey questions, such as, “How knowledgeable or unknowledgeable would you say our service team member was?” and “How effective or ineffective would you say the service team member’s communication was?” Once you understand which areas you excel at and which ones you need to improve, you can focus on specific skills. Tom Brady didn’t learn to be a great football player in a day. It took years of practice and he was even a backup quarterback before he earned the starting position. And now, even though he’s a Super Bowl-winning quarterback, he continues to eat nutritious food, watch game tapes, and receive feedback from his coaches. Customer service is no different and in order to be a world-class customer service agent, you must be willing to work on these customer service skills and learn from your mistakes. If every team member did this, your organization would excel.